EMV chip card technology is here. Are you ready for Apple Pay? Start accepting all mobile forms of payments today! One deposit. One statement. For ALL card types - V/MC/D/Amex. 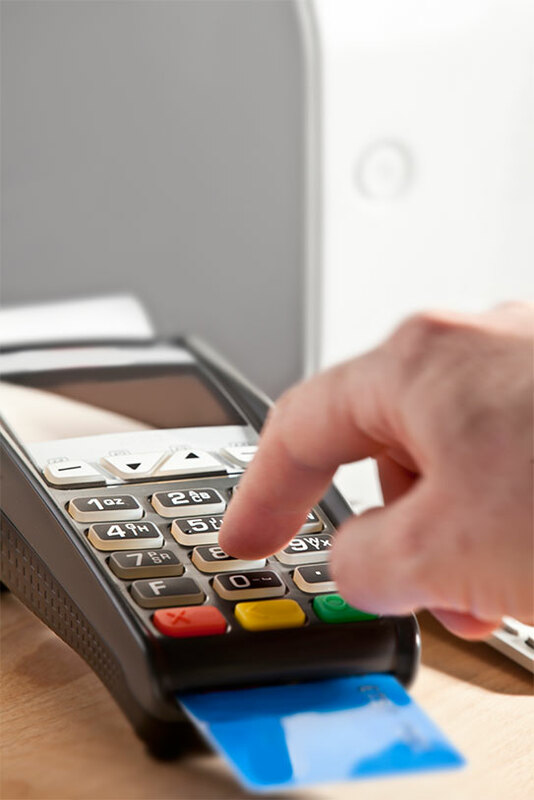 Whether you need to accept payments for your small business,online business, large retail business, or restaurant, or you’re on the move, we have your merchant processing covered. We take security, PCI compliance, and fraud seriously. TekCard Payments offers you the latest in chargeback prevention methods, top of the line EMV/NFC credit card terminals, and secure multi-layered firewall processing gateways. With our tools, knowledge, and your due diligence, chargebacks and fraud are almost non-existent for our merchants. Customer service and accessibility is important to you, and it is even more important to us. We know how frustrating it can be to not be able to reach the right person at the right time, whether it is 6 a.m. or 10 p.m. We are here 24/7 to help you and your merchant processing anyway we can. Use your mobile phone or tablet to take credit card payments. We've got EMV ready terminals right now. Our virtual terminals are secure and simple to use. Run your business smarter. We offer POS solutions and systems that track inventory, manage employees, and help market to customers.